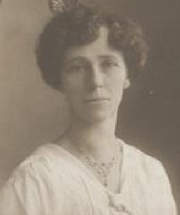 Marie E J Pitt was an Australian poet, journalist and socialist activist who wrote a great deal about social injustices endured by the working classes. She was a deeply religious woman, following the Christian Unitarian faith. She was born Marie Elizabeth Josephine McKeown on the 6th August 1869 in the Victorian gold mining town of Bullumwaal. Her father was an Irish immigrant who had been attracted to the country by the prospect of successful prospecting for gold. Her Scottish mother, who bore seven children, taught Marie much about the poetry of Robert Burns, especially his traditional Scottish border ballads. She grew up in a small settlement near Bairnsdale called Wy Yung, helping her parents on their modest farm, called a “selection”. She still had time to go to the local school up to the age of twelve. He experiences in the Australian bush influenced her greatly and much of her later poetry displayed her passion for her natural surroundings at that time. She hoped to become a teacher but failed to qualify so took employment as a photographic retoucher. By the age of 18 she was married to a gold miner named William Pitt. Their 19-year marriage produced four children, much of the time living a hard life in the mining camps of Tasmania. Eventually they moved to Melbourne where Marie began her journalistic career as editor of The Socialist, the voice of the Victorian Socialist Party. She had been writing poetry for some time and her early efforts were published in the local paper, the Bairnsdale Advertiser. In 1900 though she managed to get the Sydney Bulletin to accept one of her poems although it was published under the pseudonym “Magnet”. 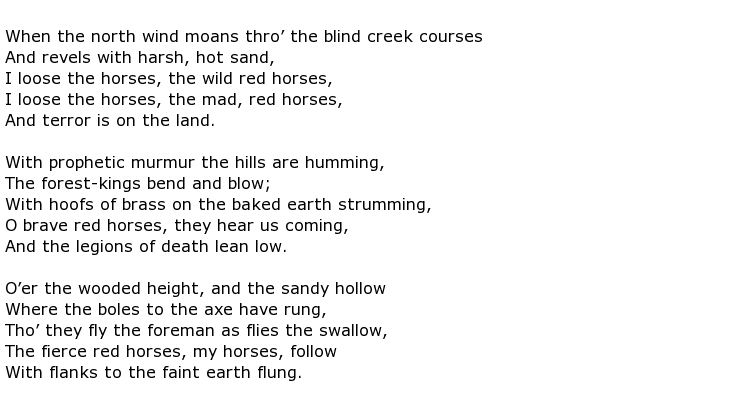 The poem was called Ode to the Fat Man and was a satirical piece about the Boer War. Further pieces of work appeared in the Bulletin over the next few years, along with similar publications with left-leaning views. Pitt’s name became known across Australia when her poem Ave Australia won a National Lyric competition organised by ABC Television who were searching for a national anthem. She was remembered chiefly for her descriptive, lyric poetry describing in great detail her early years in the bush and then those spent with her husband in the rough Tasmanian gold mining communities. Between 1911 and 1944 she produced four collections of poetry. Marie E J Pitt died on the 20th May 1948 at the age of 78.